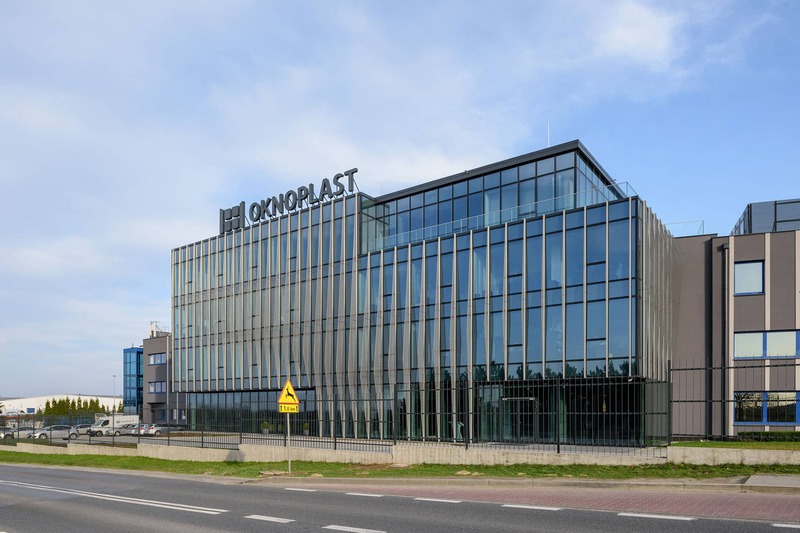 The design of the registered offices of Oknoplast was selected during a competition organised by the Investor. 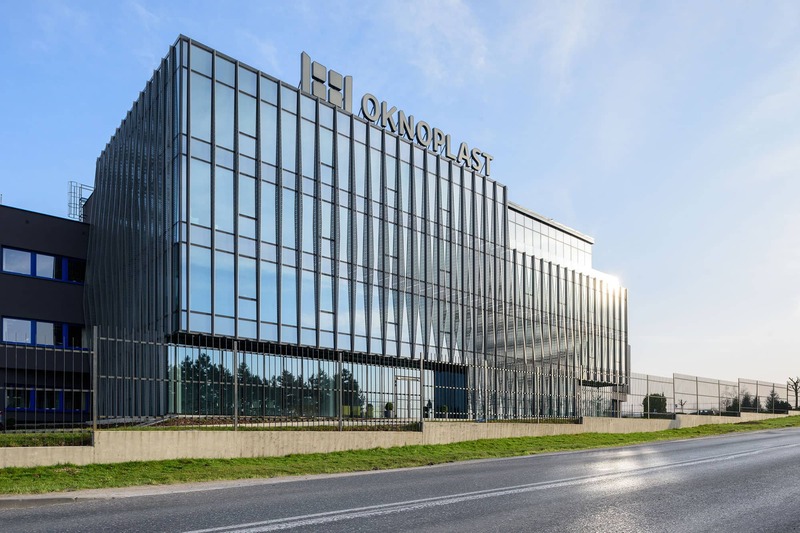 The office building is designed to stand on the premises of the Oknoplast production facility in Ochmanów (Niepołomice municipality) near Kraków, between two existing office buildings on the side of the provincial road. 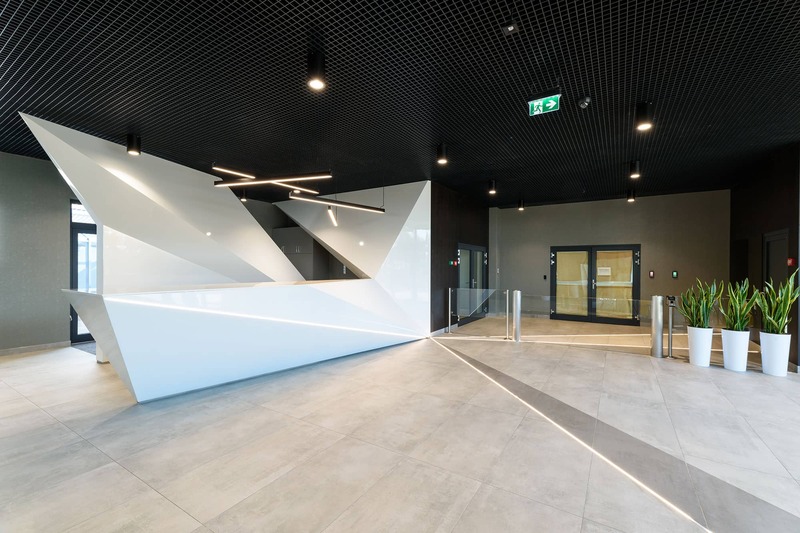 The new building will act as the link between the existing office blocks, together with which it will form a stately main office and will become the dominant element of the composition of the entire development. 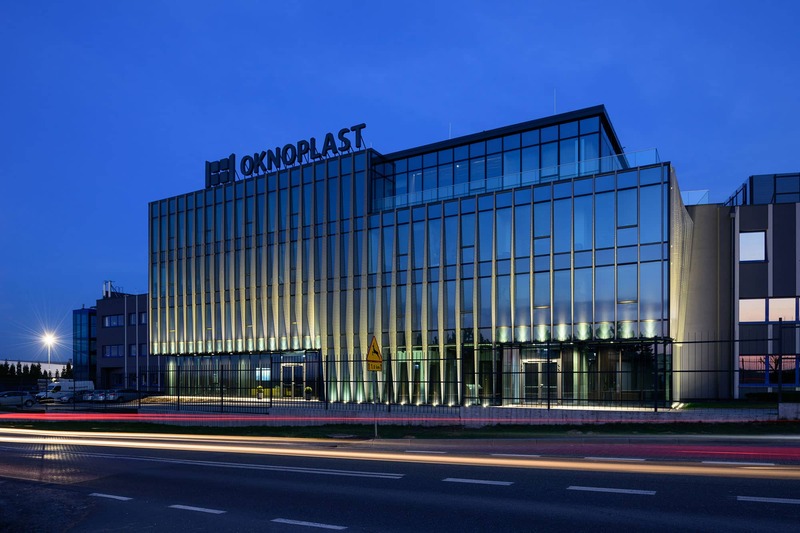 The building’s design was inspired by the Investor’s business, namely the production of window systems and glazing. 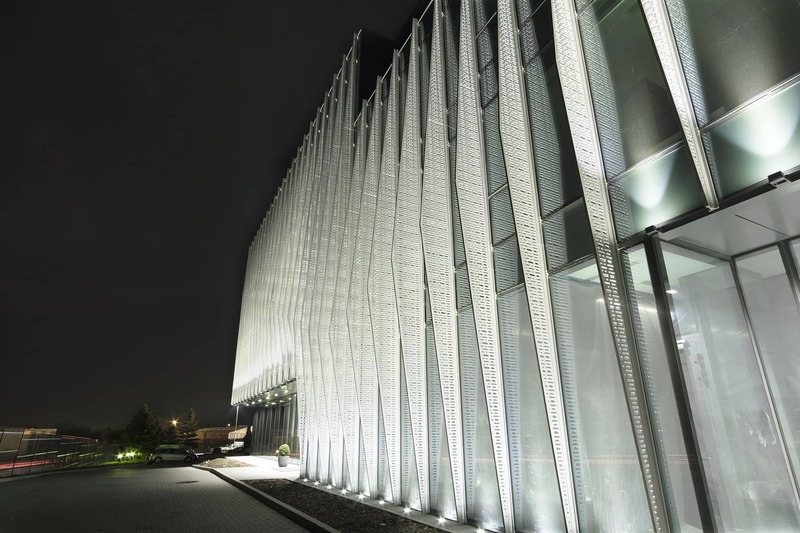 Glazed façades of the straight-line form of the building are shaded by vertical louvres of perforated aluminium sheet. 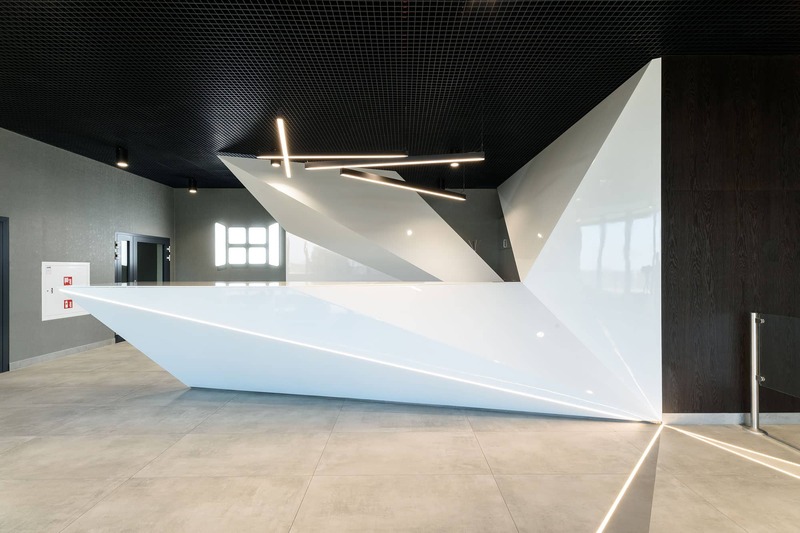 Outside edges of the triangular vertical louvres define planes suggestive of cut crystal. 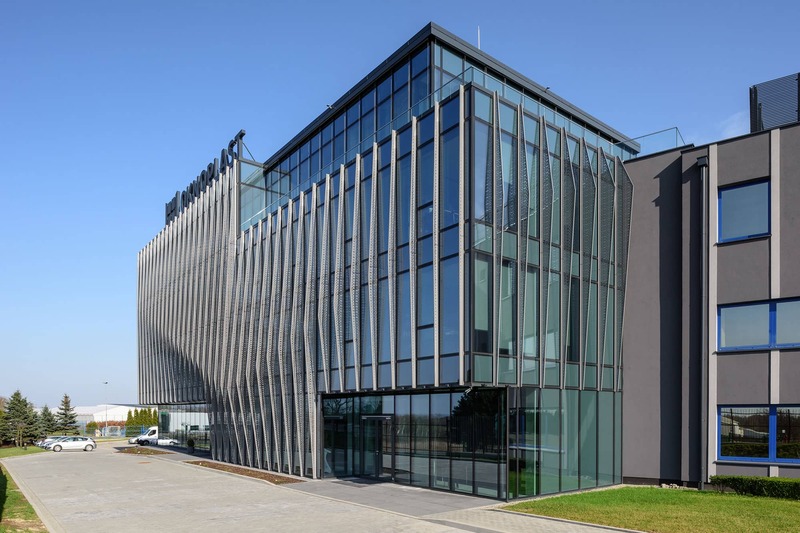 The primary, office function of the building has been expanded to include a showroom of windows and doors as well as a suite of training/meeting rooms. The structural system of the building has been designed as a reinforced concrete column and slab type. 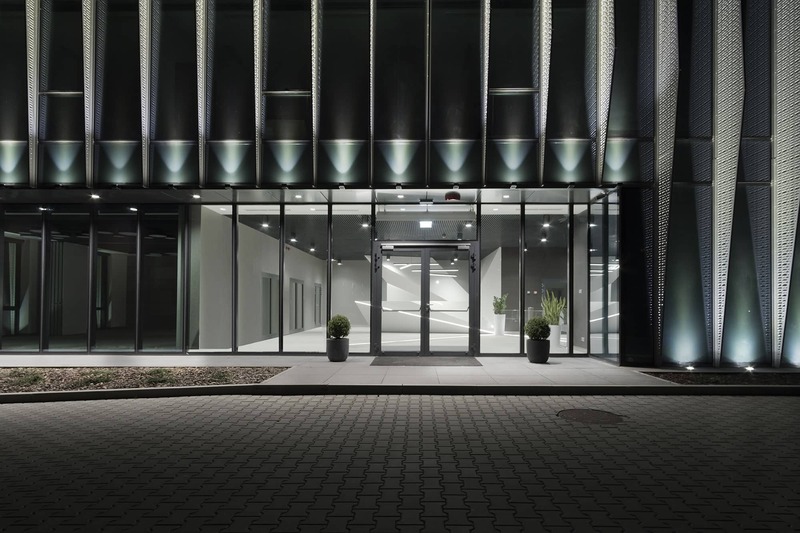 The building is equipped with state-of-the-art heating and ventilation systems with heat recovery, controlled by a BMS system.